Why don’t you just go away? Is this some devious plot of yours? Then write some. Poetry that is. “…and then ‘you’ came along…”. Now there’s the true soul of a poet. “Go away. Leave me alone. You’re making my work an antiphone.” Take the money and run Frank ! What a great twist. i love your wittiness and weaved in humor. Very cleverly done. Thanks for hopping over to nothingcluelesslost again. Nice double meaning on ‘ever sad’ Sometimes even when you win, you lose.Thanks for the looks and like. I really like this. You should definitely submit to my blog! A love relationship with money and wealth can give us a sense of false security. If one partner does not leave the other(s) the necessary space to breathe there is no way to feel happy. It is not the right relationship. Human beings need time for ourselves. If we have one or more partners they need to understand that we need to be alone and to create, do art, write or engage in scientific research. Love the two last lines about the poet’s defense. You’re very creative. I enjoyed reading this. Keep up the great posts. 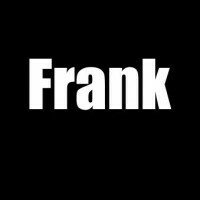 Nice one Frank. Really shows that one can never really be happy or satisfied by anything. Thanks for this. I’m not sure with the cash, but I want to write poetry 🙂 nice one man! Watch what you ask for,you just might get what you ask for! Are you ready for it? Haha! I really like this one! You’re too good! You’re much welcome! Have a blessed day in Jesus Name! That’s a cute poem. If you ever get so tired of being rich you can’t stand it anymore I’ll send you a couple of my deposit slips. LOL. Have a blessed day. Nice. But i dont think this is fiction. Is it? U told me u write fiction stuff. But most of them arent. Are they? I love how u write and make me think u might have dealt with it or something. Frank, I do take it that you were swamped by earthly wealth – or was it too much attention taking away time for solitude. Hope you found your own happiness again. I am also puzzled about the “Swedish Horse” ? Being Swedish myself I have never heard this and as far as I can see an English horse and a Swedish look very much the same. Love only hurts when you flood it with expectations. Let it flow without hopes or demands and it can only surprise and fulfill. Try to manage it and it will turn awry and manage you. “Try to manage it and it will manage you”…. I totally relate to this! Yes indeed… you need to want it, not to have it….Great! Hahaha you should see my W-i-i-i-DE grin. nice one! Somehow, I don’t think this poem is talking about a person, but maybe a job switch or career. Well, that’s my interpretation.